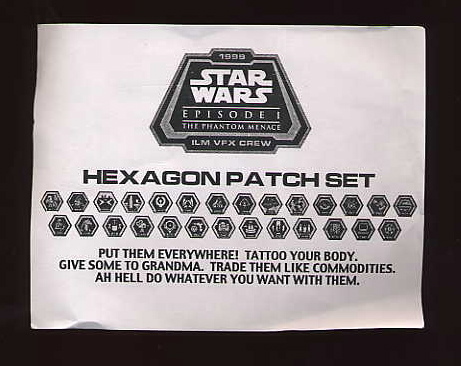 This is one of the rarest cast and crew items from the Phantom Menace. 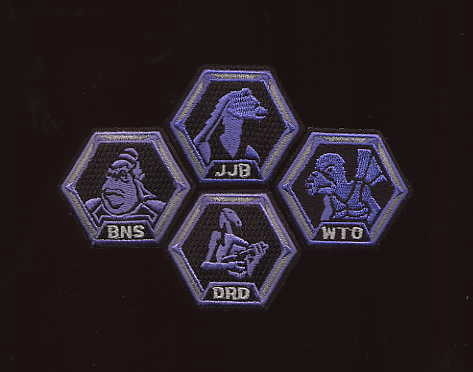 A limited number of these 27 patch sets were made--each patch represents a major special effect from the movie. These were available in a gift set with a tote bag and mug. 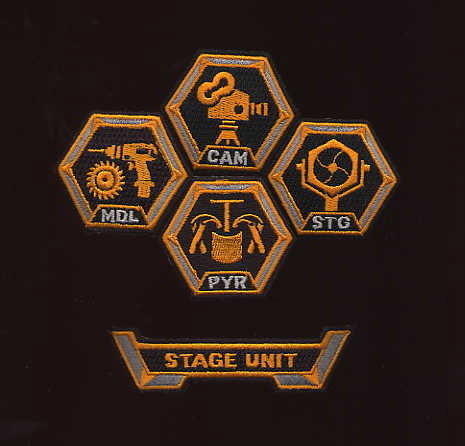 This set of four patches is from the Stage Unit. 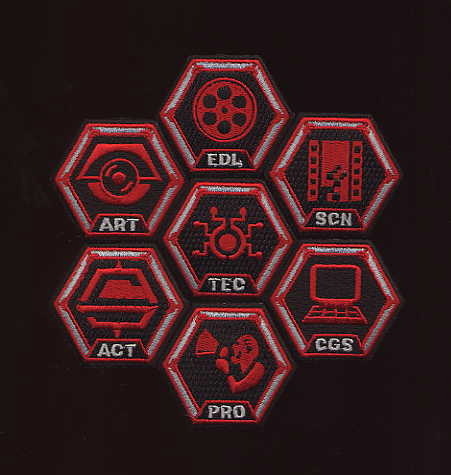 These patches resemble merit badges from scouting and might well be a parody of them. 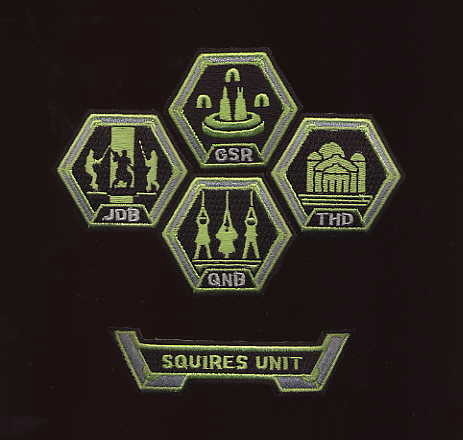 The Squires Unit, run by Scott Squires, a visual effects supervisor for ILM. The Muren Unit, run by Dennis Muren, the legendary visual effects supervisor for ILM who has more academy awards than anyone in the history of motion pictures. 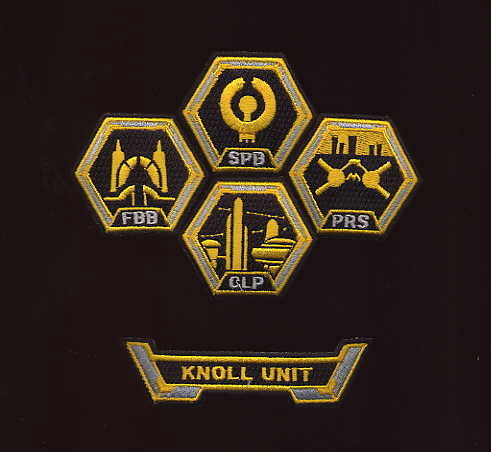 The Knoll Unit, run by John Knoll, a visual effects supervisor for ILM and Naboo pilot. This set consists of CG characters from Phantom Menace. 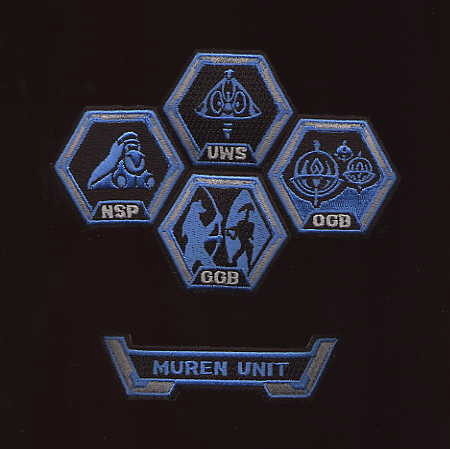 These are seven other unit patches.